Several exercise machines manufactured by ICON Health & Fitness, Inc., which permit a person to play blackjack, poker, and other games while exercising, don’t infringe patents held by Fitness Gaming Corp. (FGC) for a device that combines an electronic game of chance and a piece of exercise equipment. This was the decision of U.S. District Judge Claude M. Hilton of the Eastern District of Virginia in an August 12, 2011, ruling on ICON’s motion for summary judgment of non-infringement. FGC had sued ICON for patent infringement, but the judge found, reviewing both the language of the patent and its prosecution history, that this claim had no substance and that as a matter of law, ICON hadn’t infringed the patents. “The specification and prosecution history make clear what the claims require as a matter of law, and FGC has no evidence that the accused devices have what the claims require,” Judge Hilton wrote. The key point was that in obtaining the patent, FGC carefully specified that the patents involved a “combination of an electronic game of chance device and a piece of exercise equipment.” FGC’s patent application specifically equated the term “electronic game of chance device” with the term “legalized gambling device.” The prosecution history showed that FGC made this limitation in order to respond to objections from the patent office that an existing patent, involving the combination of exercise equipment and a video display showing the progress of a bicycle on a track, had anticipated FGC’s patent and that FGC had therefore applied for something that wasn’t novel. 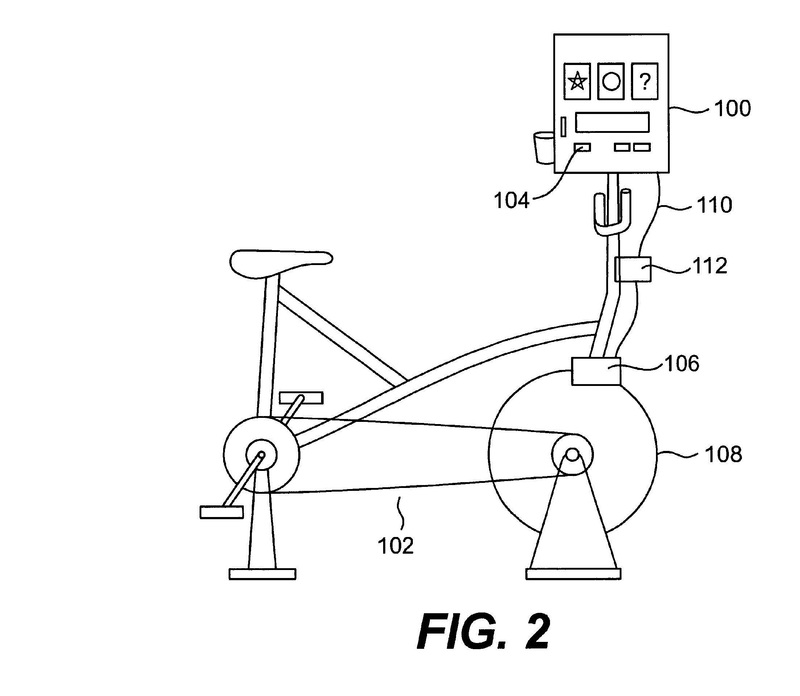 FGC, in its own words, said that it only wanted a patent on an exercise machine that was combined with a gambling device. FGC, in the patent office proceeding, disavowed any coverage of a device that “did not accept a wager from a user and permit a payout based on random events as governed by the controlling gaming and casino regulatory bodies.” In other words, in order to use a machine of the type covered by FGC’s patents, a person makes a wager of money by using a device such as a slot machine, and at the same time uses exercise equipment. As long as both the physical exercise and the gambling activity continue, the machine will continue to function. The devices manufactured by ICON, however, involve no actual wagering. They do permit a user to play “Blackjack” or “Texas Hold ‘Em” while exercising – but only for imaginary “credits” that have no monetary value. The devices don’t accept cash, credit cards, or other forms of money, and don’t pay out any money in the form of cash or any other form. They, in fact, are devices that don’t accept wagers and don’t make payouts based on random events as governed by gambling regulatory bodies – precisely the type of patent coverage that FGC had disavowed. Accordingly, Judge Hilton rejected FGC’s claim and found that as a matter of law, there was no infringement here.